I am not a huge seasonal decorator. Are you? I don’t have a lots of tchotchkes and other décor to just change it up every season. I am pretty simplistic in my approach to decorating. I usually decorate maybe one entryway table seasonally and maybe add in a few new pillows since I love making them. 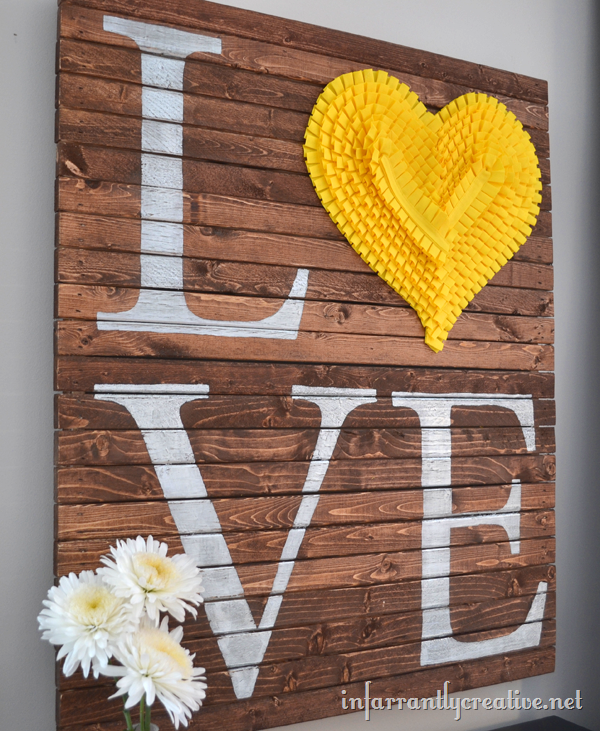 I decided to create a large DIY “LOVE” art for Valentine’s day. However, I used untraditional Valentine’s day colors so I can display it year round. It looks like a mini pallet. Despicable Me 2 is coming out this summer. (Yippee Yahoooo!) The Farrant family is so excited about that since Despicable Me was our most favorite family movie night to date. We love a little Gru and the minions. 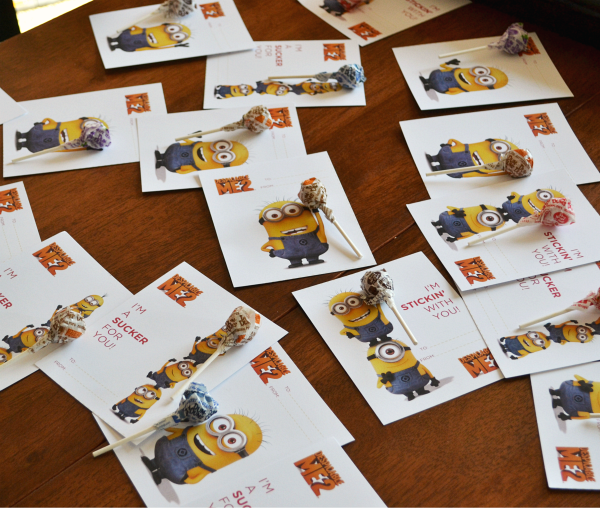 When my son saw the adorable Despicable Me 2 printable Valentine’s on Make and Takes we quickly printed them off and got started on addressing them for his class. I must admit I haven’t even thought about Valentine’s Day yet. I am knee deep in My Biggest DIY project ever. I am glad Jamie makes it easy for me. A quick print and I have a cute Valentine for my kids. Please welcome Jamie back with an adorable free printable valentines day card for your kids.